I've tried using rounded rectangles but it the final result doesn't look quite the same. 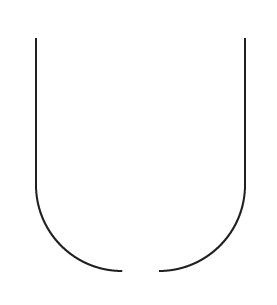 Delete sections of the shape by using the Direct Selection Tool (white arrow) to select them and then hitting Delete. 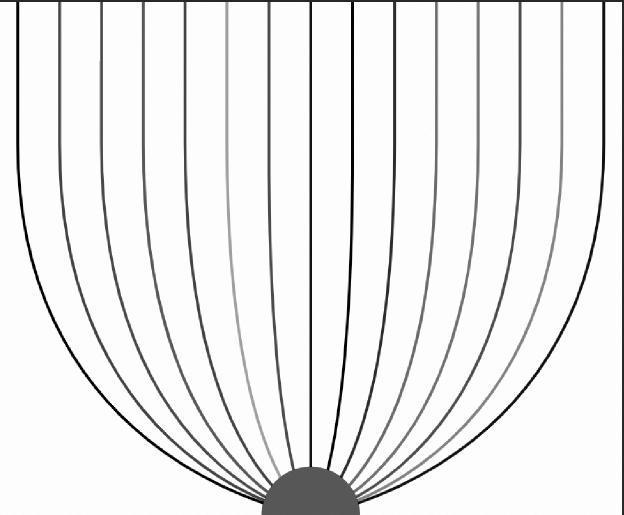 Using the Blend Tool, click the top anchor on the left (1), then the top anchor on the right (2). 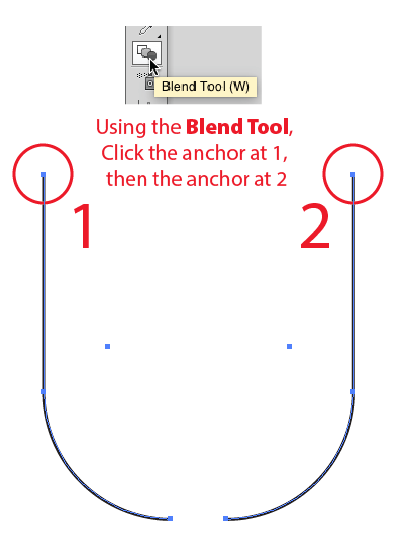 This tells Illustrator what anchor to blend to what anchor, creating a proper blend. Note that if you merely use the menu to create the blend, the path directions will result in one side being seen as "flipped" and will result a blend which is unexpected. Using the Blend Tool to specificy the anchors to blend to/from circumvents the issue with path directions. Then choose Object > Blend > Blend Options from the menu. 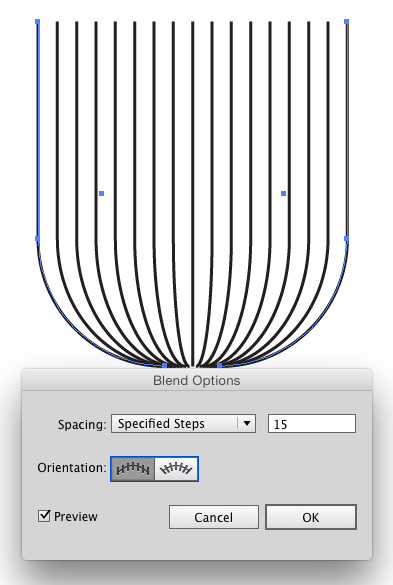 Set the Blend Options Spacing to Specified Steps in the drop down menu, then enter the number of iterations you want. As a live blend you can further refine by moving the anchor points of the two paths around. Then, for separate, individual paths, select the entire object, choose Object > Expand from the menu, and simply click OK. 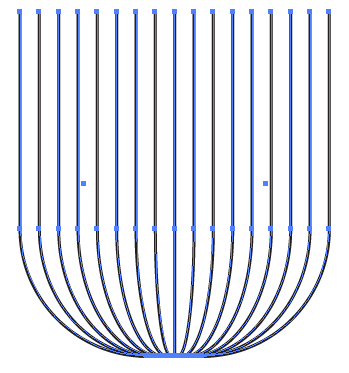 The end result is a group of strokes following the curves smoothly. You can then ungroup if necessary. 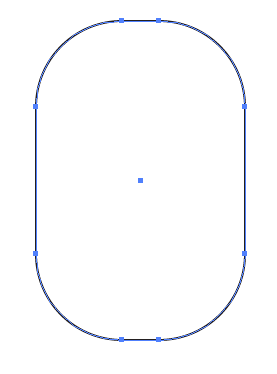 Rounded rectangles seems... a laborious approach to me; I'd just draw 'em with the bézier pen tool. Not the answer you're looking for? 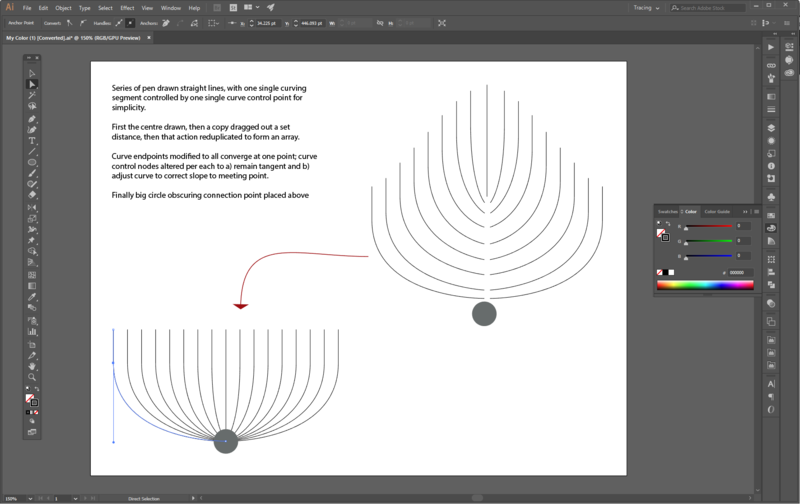 Browse other questions tagged adobe-illustrator shapes drawing or ask your own question. How to tile a pattern in Illustrator? 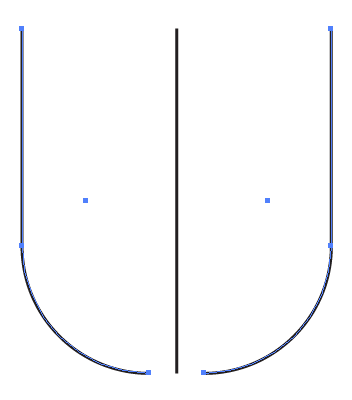 How to draw parallel curved lines in Illustrator? How to make curved triangles in Photoshop?